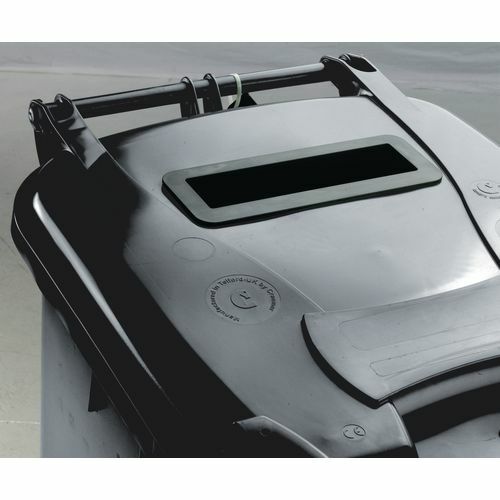 A confidential waste bin that is secure and convenient for offices such as Council's and Solicitors, when it comes to the disposal of documents that are no longer required. 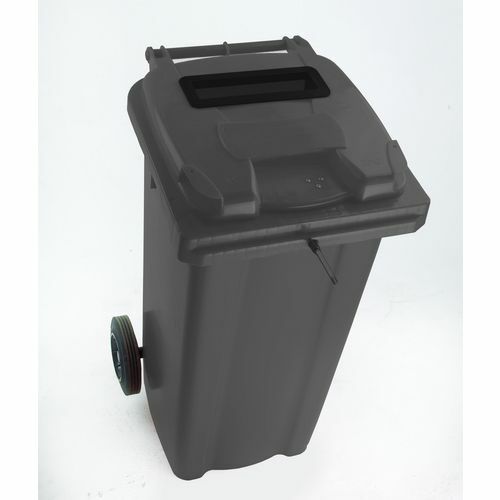 The bins come in a variety of sizes and colours; this allows us to provide you with a confidential bin in the capacity you desire or require. 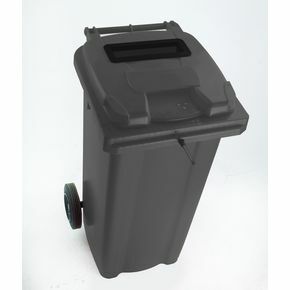 The capacities available are 120L, 140L, 240L and 360L, depending on your needs we have the right bin for you. Colours available are blue, green, grey and red. They have a slot and lid lock, ensuring that all confidential material is easy to deposit and safe until such a time it is disposed of. The wheels enable you to easily manoeuvre the bin should it need to be moved. These bins are tough and durable adding to their security as confidential waste bins. With a 60 month guarantee and being made from UV stabilised polyethylene you can rest assure this bin will stand the test of time. It also conforms to the relevant, RAL, DIN, AFNOR and draft CEN standards, to add to the quality assurance.